Well, I won't tell you too much, because I want to preserve the ending for you, too. But you will totally be blown away by this newest title in the Franchise. Disney has done it again, in a big way. My boys loved the new characters, the whole abandoned girl turned grown-up hero, and the introduction of a favorite new droid: K-2SO. And if you've wondered who the brilliant voice of K-2SO is, it's Alan Tudyk. He's one of my favorite actors, and is incredible as a British droid in this film! 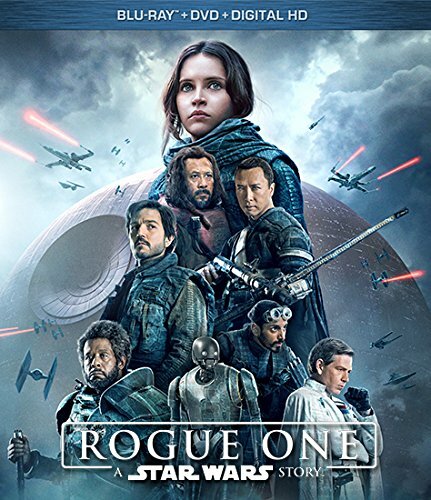 Rogue One is available right now! Pick up your copy where your favorite movies are sold. You can also snag all the formats at Amazon! *Copy receive to review. Opinions are my own.